The Home Office has updated firearms law to make it crystal clear that the creation, sale and possession of 3D-printed weapons is illegal. Following widespread public concern, the government has amended the 1968 Firearms Act to ensure there is no legal distinction between the materials and methods used to make guns. Guidance on the Home Office website now reads: "3D printed weapons are potentially lethal barreled weapons and must be viewed as such in law. The method of manufacture is not material to this consideration." 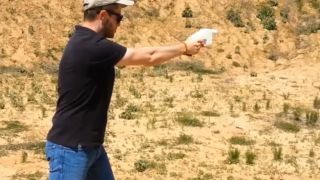 Unlicensed 3D-printed weapons, just like orthodox guns, have always been illegal, the government says, but the updated legislation leaves no room for misinterpretation.